As pretty much anyone who reads this blog absolutely must know, I love love love my husband Michael. And also I adore him and think he’s really great. And did I mention I love him? Oh, because I love him. Some days, I think that directly right after Michael comes cornbread. And that it’s the very most especially best thing ever. You know, other than Michael (and pregnancy). When I was growing up, my mom made a fantastic cornbread that had corn kernels in it and I also have great love for Dorie Greenspan’s corn muffin with corn kernels, so I was a little skeptical about trying cornbread recipes without actual corn in them when I developed this recipe about two years ago. And I have never been more mistaken. This. Is. My. Favorite. Ever. I’ve made it over and over again whenever I want cornbread. I’ve tried other recipes since, but this one is simply my favorite. 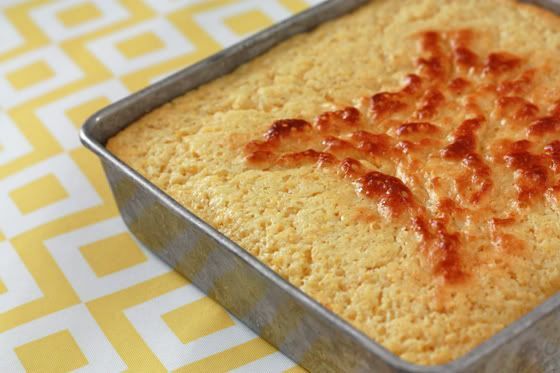 There are generally two schools of cornbread: sweet and savory. This tends to the sweet side and it’s light and fluffy, hence the “cakelike” part of the name. Still, it’s a great accompaniment to chili, gumbo, or a big main dish salad. It’s delicious on it’s own, but when you add butter or honey…fuhget about it. Whisk together cornmeal, flour, sugar, baking powder, and salt. In a separate bowl, whisk together milk, eggs, and butter. Fold wet ingredients into the dry ingredients until just combined (lumps are okay). Pour into an 8 x 8″ baking dish sprayed with cooking spray. Bake at 375 degrees 30-35 minutes or till a toothpick inserted in the center comes out clean. Wow sounds delicious! Next time I make cornbread I’ll be sure to use this recipe! And beautiful pictures by the way, love the plates and the yellow design. Mmm, this cornbread looks wonderful Emily! I too love it with some honey and butter… it melts in your mouth! I have my own no-fail recipe made with buttermilk, but next time I make it I will definitely give your recipe a try! Thanks for sharing. looks delicous! and you have the CUTEST dishes! YUM! 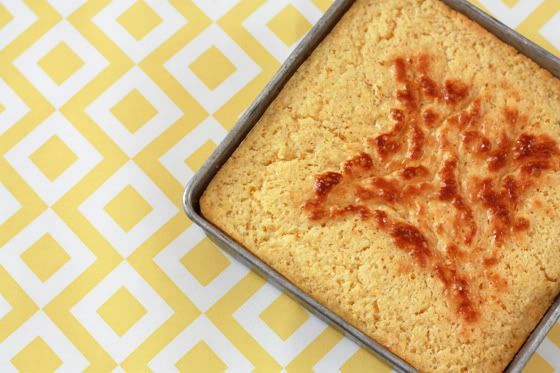 I will most definitely have to try this out – I usually only make the kind with the actual kernels in it too hah I love me a sweet cornbread!! We got a pretty good snow here in DC today, so of coarse I had to bake something.. made this earlier today and man, oh, man is it good! Also made your recipe for chocolate brownies and can’t wait to break into them after dinner- hope they’re as delicious as this cornbread! 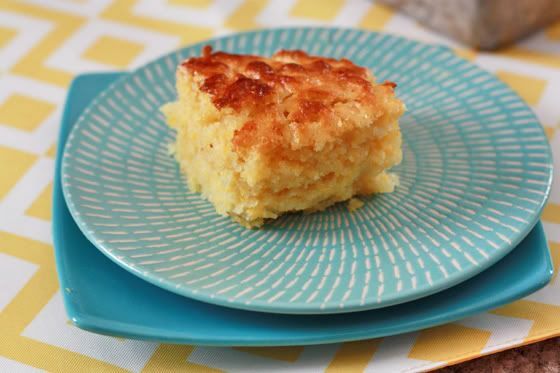 oh my, this cornbread is delicious! We had it tonight with our favorite boilermaker chili. Fabulous! My husband and I tried you cornbread recipe last weekend and absolutely loved it. I would always buy our cornbread at a local grocery store and after making this cornbread I will never have to buy cornbread pre-made again. I recently started a blog about family recipes along with hair bows that I am making. You should check it out at Chicky’s Bowtique. I made this recipe and it is a sure winner winner chicken dinner! GREAT recipe! My mom wanted it! I’ve made it twice in two days….I will add diced Jalepenos and cheese to my next batch. I did add a T of honey to the batter and swirled honey on top before baking! This is my go-to recipe for cornbread! My husband just loves it! I haven’t made another cornbread recipe in years! Thank you so much for blessing out home with this fabulous recipe! Hilary – THank you! That comment just made my day! Just put this together to bake in early a.m. for granddaughter before school. She abhors dense cake and will throw it away immediately upon inspection if not light. Must say in mixing contents it appears to be a very light batter. I tasted it and it was very good,sweet with corn flavor. will see in the a.m. how it is. thank you. I’m so glad you enjoyed it! 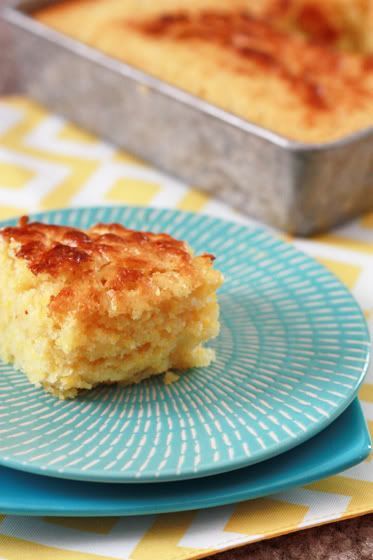 I love all types of cornbread, but sometimes this soft, fluffy kind is EXACTLY what I’m craving! What kind of flour do you use for this/what flour options do I have for this? Kelsey – This is an old recipe from before we went dairy and gluten free. I used white flour. If you’re GF, you can probably get away with GF all purpose flour, like Bob’s Red Mill 1-to-1 GF baking mix. Hope that helps!